The Ophir RF 5125 is a 70 Watt broadband amplifier that covers the 20 ? 1000 MHz frequency range. This amplifier utilizes Class AB linear power devices that provide an excellent 3rd order intercept point, high gain, and a wide dynamic range. 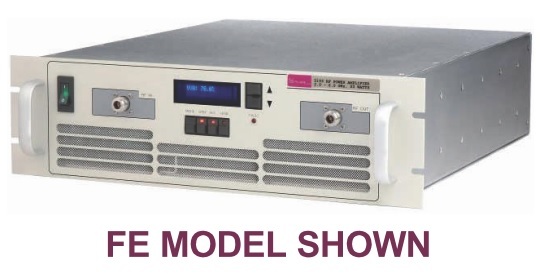 Due to robust engineering and employment of the most a d v a n c e d d e v i c e s a n d components, this amplifier achieves high efficiency operation with proven reliability, Like all OPHIR RF amplifiers, the 5125 comes with a 3 year warranty backed by Ophir RF?s commitment to total customer satisfaction.